Two issues surrounding food are in the news, it seems, almost daily. The rising cost of food and food waste. In Britain and Ireland we waste a shocking amount of food. Instead, why not turn it into a new meal or dish as it is surprisingly easy to do. Take a look at the following recipes and you will see how to do this and not only will you feel better when you do, you will save money too. What are you waiting for? And, if you this leftovers recipes are dull, take a look at the salad on this page - it is made using leftover turkey! Sunday Lunch is such an institution on these shores, you will not be surprised to learn there are many recipes inspired by the Sunday Lunch. Finished the roast chicken or turkey at Sunday lunch but there's still a lot of chicken on the carcass? 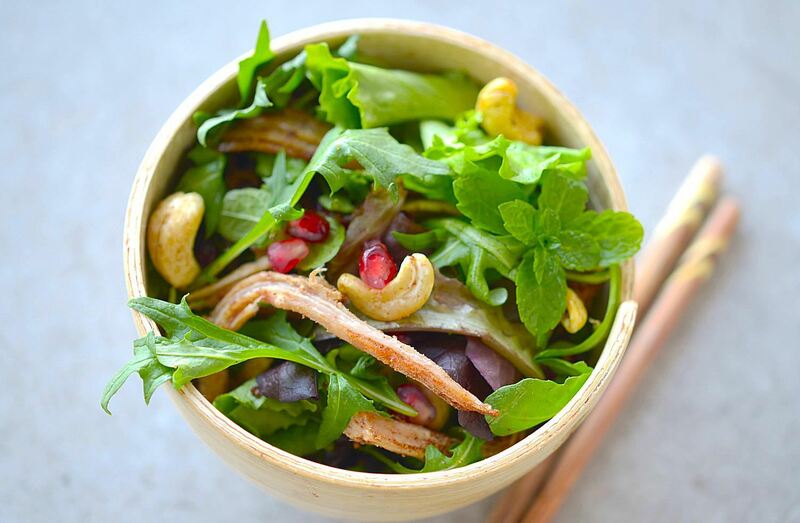 Simply strip the meat away and use in a sir-fry or in salad recipes like the aforementioned Asian Spiced Turkey, Cranberry Salad. Turkey or Chicken Strudel Recipe. Never throw the carcass away. Chicken and turkey carcasses have tons of flavour in them and make great stocks. Save the carcass in the freezer until you have enough to make a big batch of stock . Making stock is so easy and makes a far superior product than any stock cube ever can. Leftovers really come into their own when you marry them up with pastry. A simple pasty is made easily with a little leftover mince or even fish. Pop leftover vegetables into a quiche or vegetable tart. Make your own pastry, then it is even cheaper still. Many of these recipes call for fresh vegetables, simply substitute with your leftover veg or vegetables in the chiller drawer which are just slightly past their best. One final word. When working with leftovers it is imperative the food has been stored properly (not left sitting on the kitchen counter for days on end) and cooked right through on reheating.